The purpose of the display of the captured materials is to demonstrate to the public various aspects of the Palestinian terrorism, its ideological, cultural and practical aspects, mainly the culture of suicide bombers which evolved among the Palestinian society during the Second Intifada. The display includes documents, exhibits and various seized items mainly related to terrorism and incitement. The exhibits were sorted and selected for display from many captured materials seized by the IDF and the Israeli security forces during Operation Protective Shield, during the IDF activity as part of the struggle against the Palestinian terrorism, and in the Second Lebanon War against Hezbollah. This display is unique and the first of its kind. It includes exhibits demonstrating the “culture of suicide bombers.” It includes authentic documents of the terrorist organizations, and seized maps. It also includes various self-manufactured weapons and weapons seized on board the ship Karin A. 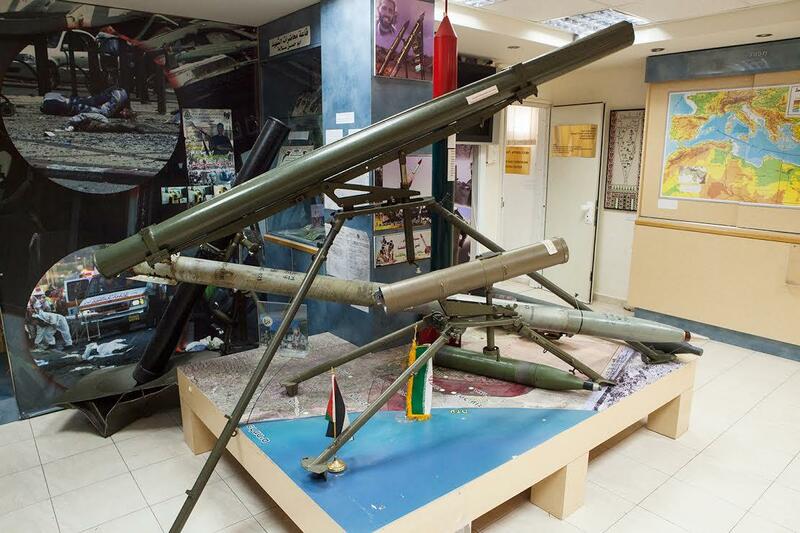 Among other exhibits, the display includes a collection of rockets of various kinds which were launched at the Western Negev and the northern Israeli communities in the past decade. The display is open to the general public for guided tours in Hebrew and in English (by appointment). Opening hours: Sunday-Thursday, 08:30 -16:30.